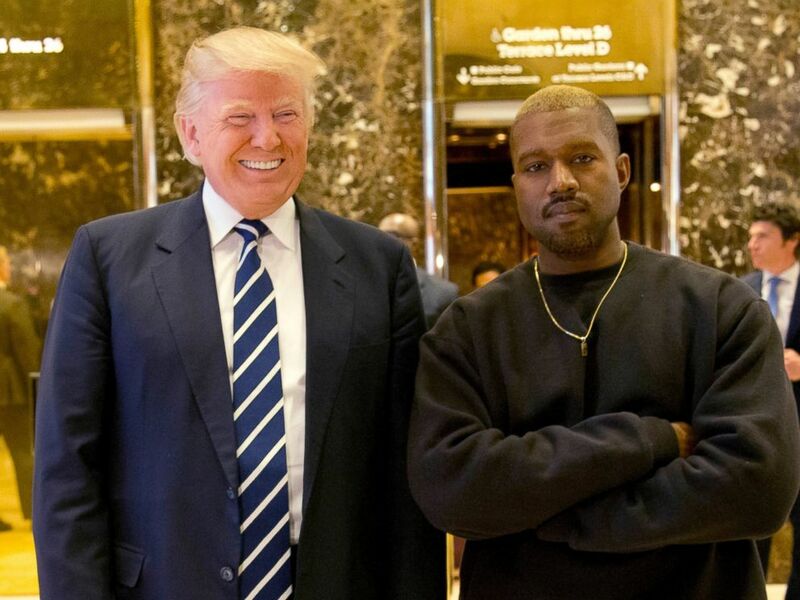 In an extended soliloquy that touched on racism, tax breaks, prison reform, mental health and the need for art programs in schools, Kanye West, the at times controversial rapper-turned-prison reform activist, used his meeting with President Donald Trump at the White House on Thursday to offer a platform on issues he feels are most important to the African American community. The president and rapper are slated to discuss prison reform, the African American unemployment rate and the surge in violence in West’s hometown of Chicago, according to a statement from White House press secretary Sarah Sanders. West also brought Jim Brown, a former star running back for the Cleveland Browns and someone who has previously spoken with Trump about issues impacting the black community. In this Dec. 13, 2016, file photo, President-elect Donald Trump and Kanye West pose for a picture in the lobby of Trump Tower in New York. West’s wife, Kim Kardashian West, has visited the White House twice this year – most recently in Septemeber – to discuss prison reform with the president as well as with Ivanka Trump and Jared Kushner. In May, Kardashian West met with President Trump in the Oval Office to talk about prison reform and clemency for Alice Marie Johnson. The 63-year old grandmother was serving a life sentence on drug charges. Shortly after Kardashian West’s meeting with the president about Johnson, the president commuted the grandmother’s sentence. 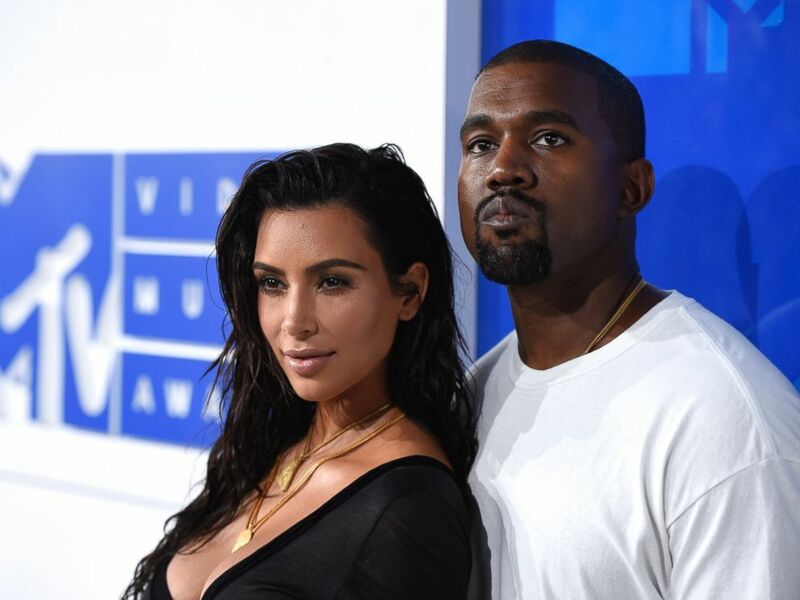 While the couple’s increased public advocacy for prison reform has drawn lauds in some circles, Kanye West’s relationship with Trump has been a source of criticism in the hip-hop community. West declared earlier this year that the “mob” can’t make him abandon President Trump. Following months of criticism from hip-hop fans, recording artists and friends alike over his support for the president, the rapper remains undeterred. During a recent appearance on “Saturday Night Live”, West wore a “Make America Great Again” hat and dove into a passionate, pro-Trump rant on live TV – one that continued even after the show ended. In this Aug. 28, 2016 file photo, Kim Kardashian West, left, and Kanye West arrive at the MTV Video Music Awards in New York. Trump, who has repeatedly touted West’s support, gave him a reciprocal shoutout on Sunday morning. “Like many, I don’t watch Saturday Night Live (even though I past hosted it) – no longer funny, no talent or charm. It is just a political ad for the Dems. Word is that Kanye West, who put on a MAGA hat after the show (despite being told “no”), was great. He’s leading the charge!” the president tweeted. ABC News’ Meridith McGraw and Jordyn Phelps contributed to this report.